For Call of Duty fans, developer Treyarch just delivered an early Christmas present when they released Black Ops II this week. As the ninth game in the Call of Duty franchise and the sequel to the 2010 game Black Ops, we are hoping to see something meaningfully new from Black Ops II. We say this because last year's release (Modern Warfare 3) was somewhat lackluster on the PC, and also because the competing franchise Medal of Honor: Warfighter has received mixed, if not poor reviews overall. But we could be in luck as Black Ops II is the first game in the Call of Duty franchise to feature future warfare technology and the first to present branching storylines driven by player choice. So far Call of Duty Black Ops II has received mostly positive reviews, with Kotaku saying “Black Ops II feels great to play, especially when futuristic weapons are involved, yes — but it also makes you think.” IGN editor, Anthony Gallegos also said that the game is "a good example of how to evolve an annualized franchise." But as usual, our main concern from a performance article perspective has to do with the game engine which has been slow to evolve over the years. Black Ops II has been built using the “Black Ops II engine” which has been upgraded from the Black Ops IW 3.0 engine released back in 2010. 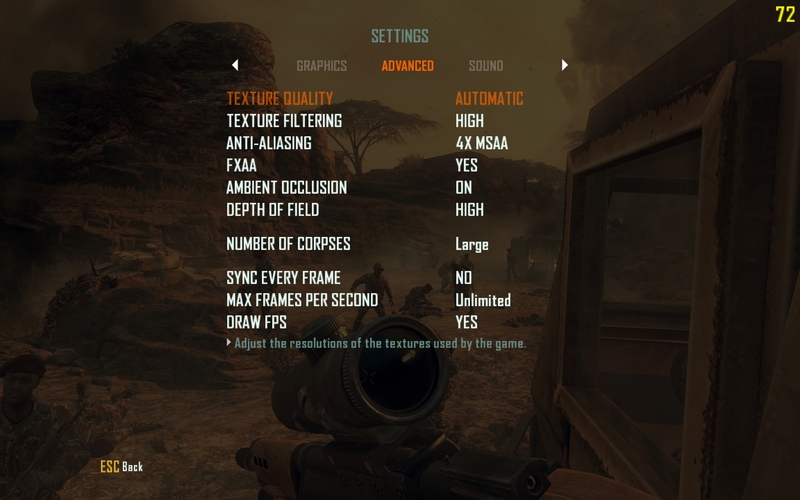 The key changes to the game engine include a new technology called "reveal mapping" which improves texture blending by comparing tones between two textures before blending them together. Lighting has also been improved and now includes HDR lighting, bounce lighting, self-shadowing, intersecting shadows, and various other improvements. On paper the upgrade also calls for the move to the DirectX 11 API for the PC version of the game. This means PC gamers should enjoy better visuals when compared to those using console versions. Still, despite the various enhancements to the game engine, the minimum system requirements only demand a GeForce 8800 GT 512MB or Radeon HD 4870 512MB (both DirectX 10 GPUs) with an old Core 2 Duo 2.66GHz or AMD Phenom X3 processor. This means either the game scales very well to accommodate for older systems or despite the enhancements it’s just not that demanding or visually impressive. We'll be testing 29 DirectX 11 graphics card configurations from AMD and Nvidia across all price ranges. The latest beta drivers were used for every card. We installed an Intel Core i7-3960X in our test bed to remove any CPU bottlenecks that could influence high-end GPU scores. Shortly before Black Ops II arrived, both AMD and Nvidia released pre-WHQL drivers that claimed to provide improved performance and stability in a number of games. AMD has noted numerous bug fixes, thus our decision to go with the latest beta drivers. Nvidia released a new beta driver that addressed specific performance issues with the game. 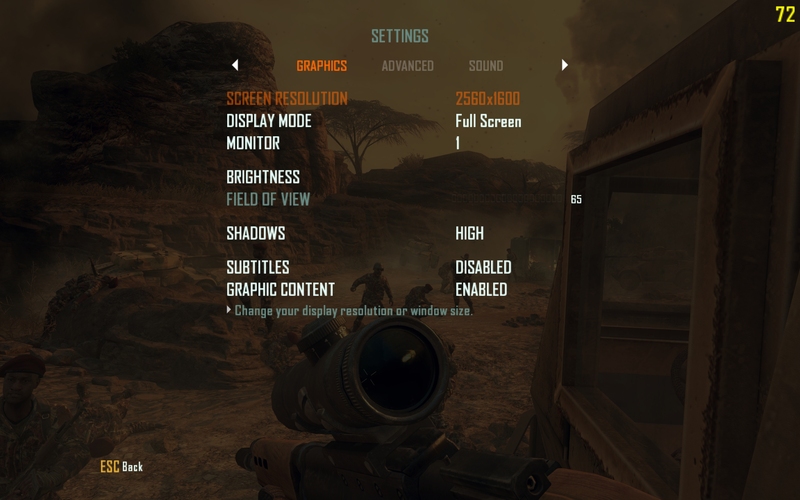 The new GeForce 310.54 beta driver delivers "up to 26% better performance" in Call of Duty: Black Ops II and provides smooth, shimmer-free graphics with Nvidia TXAA antialiasing. We used Fraps to measure frame rates during 90 seconds of gameplay footage from Call of Duty Black Ops II’s first single player level, Pyrrhic Victory. The test begins at the third Intel where the player must flee the shore line and head into the jungle. The player must defend Woods and Hudson to the extraction point. We found this part of the game to be quite demanding, so felt it was a good place to begin testing. We tested Call of Duty Black Ops II at three common desktop display resolutions: 1680x1050, 1920x1200 and 2560x1600, using the maximum quality settings with 4xMSAA in the DX11 mode.